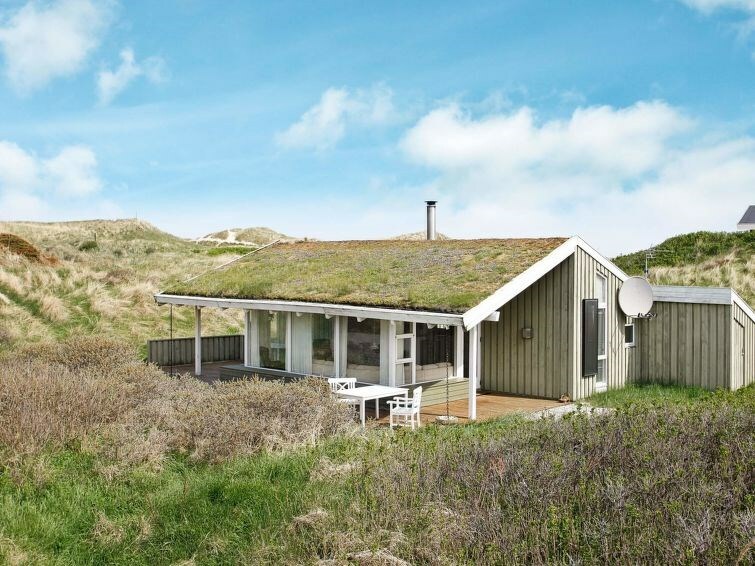 Holiday cottage located in Rødhus approx. 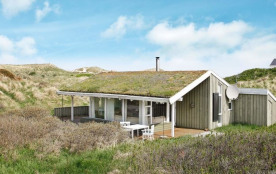 150 m from the North Sea. Cooker with ceramic hobs. Large, hilly plot with dunes, close to a plantation with good hiking trails - a very scenic area. Well-equipped kitchen. There is a sauna and solarium. Underfloor heating in the bathroom. Both a covered and an open terrace.